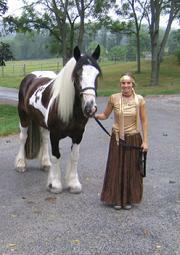 Dakota is a 1995, Irish cob gelding who was imported from Ireland in February of 2001. He is started in dressage, jumps low fences and is wonderful on trails. 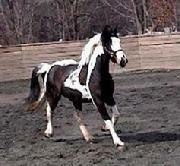 He is quiet and incredibly safe making him a great pleasure horse.